In 2000, Ronald Kraft served as Broker of Record and Vice President for PSEG SiteFinders, LLC, the licensed real estate brokerage company formed by Public Service Electric & Gas, New Jersey’s largest utility. Ronald Kraft has served on the Board of Directors of the Industrial and Office Real Estate Brokers Association. 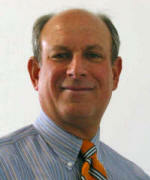 Scott has been licensed with Allied Realty since 1972 and holds his Broker’s License since 1974. 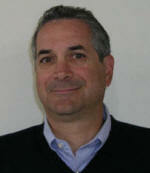 He holds a BA and MBA in Real Estate and Marketing from Pace University. Having dealt specifically with industrial properties over his entire real estate career, Scott has developed an intimate knowledge of markets within Essex and Morris Counties as well as Bergen and Passaic Counties. Mr. Kraft is also politically active, working to better the business of real estate and the ability to operate your business in a more effective, less regulated atmosphere. Scott was instrumental in forming an alliance of landlords, land-use attorneys and the Township of Fairfield. Through cooperation and professionalism on both sides, the entire Zoning Code of the Township was re-written to allow an easier path for both landlords and tenants to operate while still allowing proper oversight by the Township, a relationship which still exists over 20 plus years. One of the greatest compliments that Scott has received over his tenure was when a prospective purchaser asked “How do you know my business so well?” This is how Scott works to serve you best; by getting to know you and know your business.